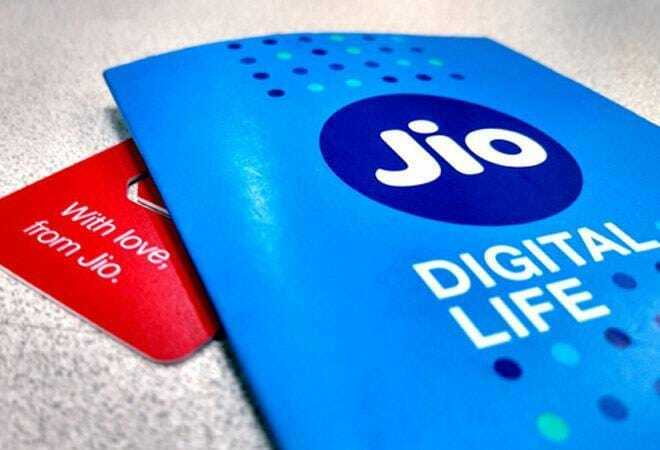 The new postpaid Rs 199 plan announced by Reliance Jio is expected to hit revenue of competitors marginally and may trigger tariff war in the segment, according to market analysts. "Move could lead to another brutal tariff cut in the postpaid regime, hurting incumbents further: Jio's postpaid tariffs are sharply lower compared to the current tariff plans offered by incumbents," JP Morgan said in its report. Jio on Thursday announced a new postpaid plan starting from with monthly rental of Rs 199 and an ISD calling service at a starting price of 50 paise per minute. "International tariffs offered by Jio are quite competitive and we could see downward pressure on such tariffs for incumbents. However, even in a scenario where we assume 10-15 per cent of postpaid revenues are from international calls, and international tariffs get cut by 50 per cent, the impact on overall revenue of incumbents is likely to be less than 2 per cent," Goldman Sachs said. The subscription of the Jio's Rs 199 plan will start from May 15. At present, the lowest monthly rent of Jio postpaid plan is Rs 309. Customers opting for Rs 199 will not require to pay any security deposit and they will get unlimited free voice, SMS and 25GB data at 4G speed. The company also announced international roaming service with outgoing calls at Rs 2 per minute onwards. CLSA analysts Deepti Chaturvedi and Akshat Agarwal in their report said 5 per cent of industry subscribers are on postpaid service. Post-paid subscribers, although limited to 5-6 per cent for Bharti Airtel and IdeaVodafone, account for around 20 per cent of their mobile revenue, the CLSA report said. "Jio's Rs 199 per month post-paid tariff plan is a sector negative and will delay the ARPU recovery for the sector," CLSA said. According to Morgan Stanley, the new plans of Jio targeting postpaid customers may impact 1 per cent of Airtel's mobile revenue in case the telecom major tries to match the tariff. "...running a sensitivity analysis on whether Airtel were to match the Rs 199 tariff, for every 10% of the postpaid subscriber base that downgrades its tariff plan, the impact on Airtel's Indian wireless revenue would be 1 per cent," Morgan Stanley report said. New Telecom Policy: Why the $100 billion investment target might be over-ambitious?